Enhanced resolution and contrast for a Radiologist’s to review dense breast screening. InveniaTM ABUS Clinically Proven to Increase Cancer Detection by 35.7%; Recently Installed at South Central Regional Medical Center. South Central Regional Medical Center announced today that they are on the leading edge of breast care by now offering the InveniaTM ABUS (Automated Breast Ultrasound System), approved by the FDA for breast cancer screening as an adjunct to mammography for asymptomatic women with dense breast tissue and no prior interventions. “We are excited to add the Automated Breast Ultrasound system from GE Healthcare to our comprehensive breast cancer screening program. By offering ABUS in addition to mammography for our patients with dense breast tissue, we anticipate improving detection for small cancers that cannot be seen on a mammogram alone in these women. We believe ABUS will become an integral part of our practice for the detection of breast cancer,” said Fred Vial, MD, Radiologist, at South Central Regional Medical Center. Dense breast tissue not only increases the risk of breast cancer up to 4-6 times but also makes cancer more difficult to detect using mammography, according to multiple large studies. According to one study published in the New England Journal of Medicine, mammography sensitivity is reduced by 36 to 38 percent in women with dense breasts, as density masks the appearance of tumors. As breast density goes up, the accuracy of mammograms goes down. The InveniaTM ABUS system is FDA-approved for breast cancer screening in the United States as an adjunct to mammography for asymptomatic women with dense breast tissue and no prior interventions. 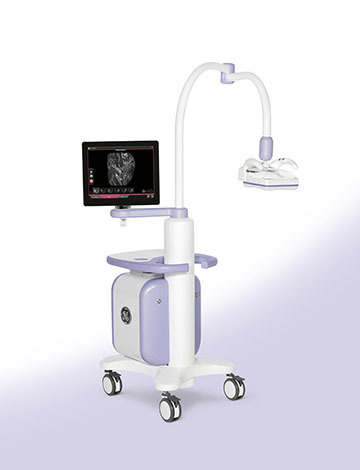 The InveniaTM ABUS system is designed to enhance the consistency, reproducibility and sensitivity of whole breast ultrasound, demonstrating a 35.7 percent improvement in cancer detection (sensitivity) in women with dense breasts without prior breast intervention. 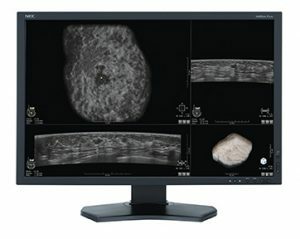 The unique challenges of breast cancer screening led to important technology innovations that result high resolution images that can be acquired rapidly. Clinically, this offers an efficient option that provides enhanced resolution and contrast, making the InveniaTM ABUS system well positioned to address the workflow challenges of breast cancer screening and improve the detection of breast cancer, in women with dense breasts. InveniaTM ABUS technology used during screening. South Central Regional Medical Center recommends that women get regular mammograms as suggested by their doctor. If you have dense breasts, please talk to your doctor. Together, you can decide which, if any, additional screening exams are right for you. If your breasts are not dense, other factors may still place you at increased risk for breast cancer — including a family history of the disease, previous chest radiation treatment for cancer and previous breast biopsies that show you are high risk. Talk to your doctor and discuss your history. Even if you are at low risk, and have entirely fatty breasts, you should still get an annual mammogram starting at age 40. For more information about comprehensive breast care services offered at South Central Regional Medical Center, please visit our Radiology Services section on our website at scrmc.com. For further information about InveniaTM ABUS technology, please visit gehealthcare.com.